After giving vendors lead times for orders just 1 quarter ahead, BlackBerry is now ordering 2 to 3 quarters ahead as the company will need parts for the soon to launch BlackBerry Q5 as well as for 3 to 4 more models that will ship in the second half of the year. The information comes from the Canadian based OEM's supply chain in Taiwan. The BlackBerry Q5 is a low to mid range model with a basic physical QWERTY keyboard and is aimed at emerging markets in Europe, Asia, Africa, the Middle East and Latin America. Recently, BlackBerry has been shipping 1 million units a month of both the all-touch BlackBerry Z10 and the QWERTY equipped BlackBerry Q10. BlackBerry CEO Thorsten Heins has said that the company would launch 6 models in 2013. There will be two low end models, two mid-range devices and two high-end phones. Each tier will have one all-touch model with a 4.2 inch screen with resolution of 768 x 1280 and one QWERTY equipped model with a 3.1 inch screen with a boxy 720 x 720 resolution. This is being done to prevent developers from having to revamp their apps everytime a new model comes out. The BlackBerry Q5 will eventually be paired up with the BlackBerry Z5, a photo of which has recently leaked out. 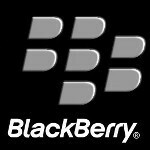 Assuming that the BlackBerry Z10 and BlackBerry Q10 are the mid-range devices, that would leave two high-end BlackBerry 10 models yet to be announced. Earlier this year, CEO Heins talked about one high-end 'Berry due out for the holiday season. This might be the recently rumored BlackBerry A10, which is expected to be coming to Sprint.